Can Robert Mueller Really Hold Trump Accountable? The special counsel loomed large over the entire Comey hearing Thursday. One of the biggest stars of Thursday’s blockbuster Senate Intelligence Committee hearing was a man who wasn’t there: Robert Mueller, a former FBI director who is now serving as special counsel overseeing investigations into the Trump campaign’s potential dealings with Russian officials. James Comey testified that he leaked memos of his conversations with President Donald Trump specifically “because I thought that might prompt the appointment of a special counsel.” Comey said he turned over all of those memos to Mueller once he was appointed. The memos infamously outline how Trump pressured Comey with demands for loyalty and a request to drop an investigation into former national-security adviser Michael Flynn. Comey made it clear, without using the words “obstruction of justice,” that he personally believes it occurred. He said he felt Trump was ordering him to drop investigations, not merely expressing a “hope,” and that he was fired because of the Russia inquiry. When Senator John Cornyn asked Comey why he didn’t seek a special counsel for the investigation into Hillary Clinton’s e-mail server, Comey said he “decided that would be an unfair thing to do because I knew there was no case there…. Calling for the appointment of special counsel would be brutally unfair because it would send the message there’s something here.” Given that Comey had just proclaimed he wanted a special counsel to look into his interactions with Trump, you don’t need a legal-math whiz to put two and two together. In any case, the momentum of this scandal has clearly shifted towards Mueller. It is more likely than not that he is investigating the president of the United States. If Mueller is indeed is looking into whether Trump—or any members of his administration—obstructed justice in the process of firing Comey, what powers does Mueller have to make this inquiry, and what can he do with the results? The answers are complicated, but will be critical to understand over the coming months. The short answer is that Mueller has extraordinary powers to investigate, subpoena, and prosecute wrongdoing—but there are still several ways Trump can shut Mueller down. By all accounts, Mueller seems to have a broad view of what he’s allowed to investigate. For example, the May 17 memo from Rosenstein describing Mueller’s duties appears to cover matters involving only the Russian “government.” In theory, that might mean Mueller can’t continue if he sees that improper contacts occurred between members of the Trump campaign and Russian oligarchs, or Russian “patriotic hackers,” as Vladimir Putin hypothesized this week, or actors affiliated with an entirely different foreign entity. But Mueller has already taken over a grand-jury investigation in the Eastern District of Virginia that is reviewing Flynn’s lobbying work on behalf of a Turkish businessman, so he has asserted a wide mandate to follow these matters where they take him. That would almost certainly include an obstruction of justice issue created by the Comey firing. 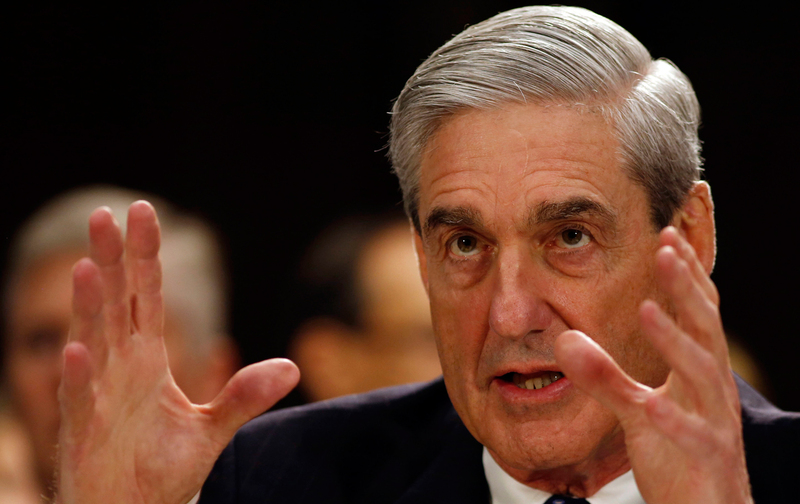 In conducting his inquiry, Mueller will have “the full power and independent authority to exercise all investigative and prosecutorial functions of any United States Attorney.” That means he can compel testimony or written documents by issuing subpoenas, convene a grand jury, have people arrested, manage plea bargains, and conduct prosecutions. This gives Mueller considerable advantages over congressional committees also investigating the Trump-Russia ties and related matters. With a special counsel, there’s no need to get consensus across party lines to issue a subpoena—Mueller can decide on his own that he wants to do it. But first he must clear it with the Department of Justice. And this is where potential problems start to arise. Under the special-counsel statutes governing Mueller’s work, he must get DoJ approval for certain major actions—subpoenas, grants of immunity, search warrants, arrests and so forth. That approval would normally be granted by the attorney general, but in this case, since Jeff Sessions has recused himself, it falls to deputy attorney general Rod Rosenstein. Mueller must followDoJ “urgent report” procedures that require him to give Rosenstein three days notice of “major developments in significant investigations and litigation,” as well as “events affecting the Department that are likely to generate national media or congressional attention.” Rosenstein can block any of these moves, and the DoJ would only inform Congress it blocked Mueller’s moves once Mueller’s entire investigation is complete. It would be Rosenstein’s decision alone to make any such blocks public. Rosenstein alone would also decide whether to release Mueller’s final report to the public; Mueller will likely file it privately to Rosenstein. This grants enormous power to Rosenstein—a man whose reputation and reliability has been severely tarnished in recent weeks. Rosenstein already admitted that when he drafted a memo that served as pretext for firing Comey, he already knew Trump planned to do it. Making matters worse, Comey testified Thursday that he “explained my serious concern about the way in which the president is interacting, especially with the FBI,” directly to Rosenstein after the now-infamous February 14 Oval Office meeting. So in May, when Rosenstein wrote his memo that justified Comey’s termination, he already knew Trump had been trying to get Comey to stop investigating Flynn. Rosenstein could recuse himself and relieve this conflict, though there are no signs he plans to. And even if he did, the president himself looms large. “Nothing gets Trump out of the chain of conflict,” said Levinson-Waldman. Trump can still order Rosenstein, or whoever is filling his current role, to fire Mueller. Trump can even do it himself by repealing the regulations creating Mueller’s special-counsel role. Under questioning from Senator James Lankford on Thursday, Comey admitted that the president can essentially make any ongoing federal investigation stop. “In theory, we have important norms against this, but…I think [Trump] has the legal authority,” he said. That’s also a big factor in the endgame here. Legal scholars are split on the issue, but rough consensus is the Department of Justice cannot prosecute a president. So even if Mueller finds Trump committed a crime, and Rosenstein does not block public disclosure of the findings, consequences for Trump become a political question. The House could impeach him and the Senate could convict him, though watching most of the Republican senators in Thursday’s hearing doesn’t create an impression they would be willing to do this. And this is assuming that Trump, realizing where Mueller is going, doesn’t kill the whole thing anyway. In short, Robert Mueller is the last best hope for an independent investigation of whether Trump obstructed justice when he pressured and then fired Comey. But his power is granted entirely by a president and a political system that can ultimately revoke it at any time. And that’s a pretty scary proposition in Trump’s America.